Fig. 4. 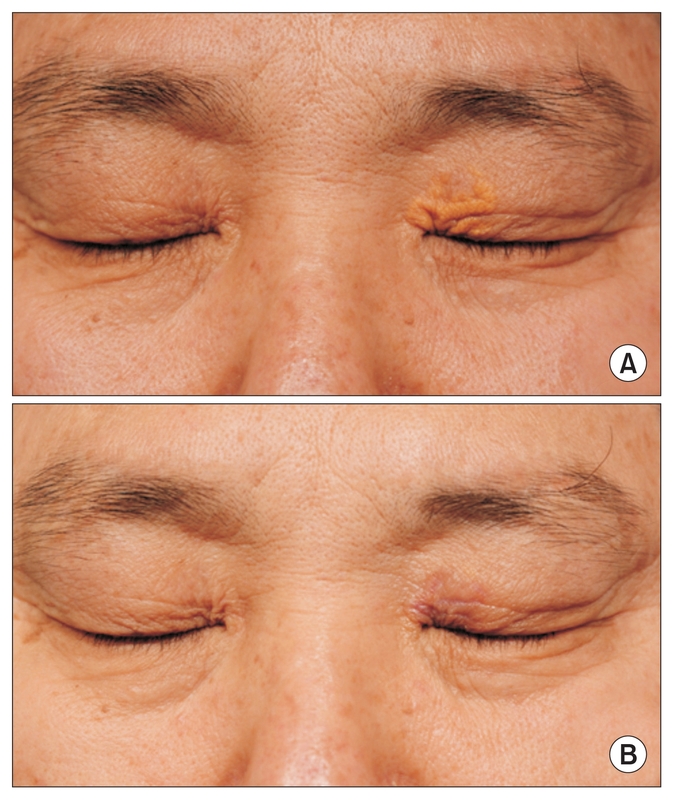 (A) Before and (B) one month after Er:YAG laser treatment of unilateral xanthelasma. There were no signs of hypertrophic scarring or lagophthalmos.